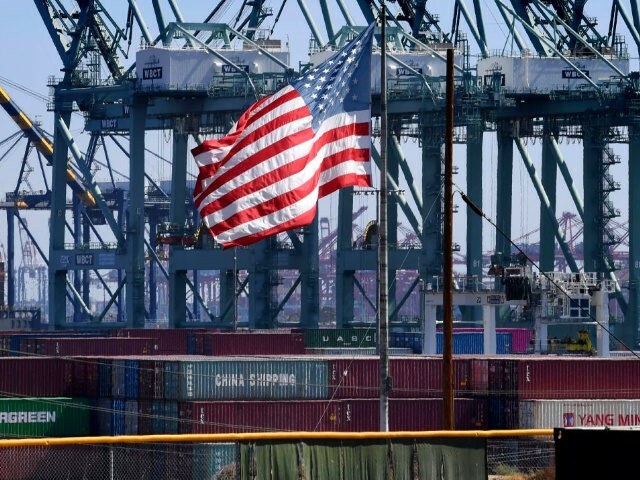 The U.S. trade deficit hit the highest level in a decade last year, suggesting that the Trump administration may need to take more aggressive action to reduce the gap. The trade deficit in goods and services jumped 19% in December from the prior month to a seasonally adjusted $59.8 billion, the Commerce Department said Wednesday. Economists surveyed by Bloomberg’s Econoday had expected $57.6 billion. While exports add to gross domestic product, imports do not. So the larger than expected trade gap likely means GDP estimates for the fourth quarter will be revised down. Downward revisions in exports for November and October deepened the net deficit in those two months by $1.6 billion, also indicating a net subtraction from GDP. For the year, the trade gap jumped 12 percent to $621 billion. Excluding services, the gap expanded 10% to $891.3 billion, the largest level on record. The rising trade deficit was fueled by the health of the American consumer and the strength of the U.S. labor market, on the one hand, and the weakness of growth in the rest of the world. This meant that demand for goods and services in the U.S., including demand for imports, grew faster than demand from outside the U.S. U.S. imports grew 7.5%, while exports increased just 6.3%. To put it slightly differently, the rise in the deficit indications that the Trump administration’s policies that have boosted U.S. incomes are pushing some U.S. spending into the rest of world. So the U.S. strength is propping up economies around the globe. The trade gaps with China, Mexico, and the European Union also reached at all-time highs even though Washington slapped tariffs on hundreds of billions in imports. –AFP contributed to this report. John Carney is the economics and finance editor of Breitbart News. Follow him on Twitter: @carney.